Law firms and legal practice Category Archives — Page 2 of 2 — The Antitrust Attorney Blog Published by California Antitrust Lawyer — Jarod Bona of Bona Law PC. 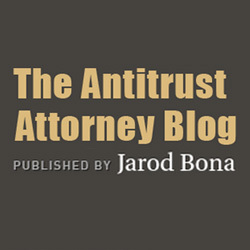 One year ago, I wrote my first blog post for The Antitrust Attorney Blog. Time flies. A lot has changed since then. When I started this blog, I was with DLA Piper. Now I am with a firm called Bona Law PC. DLA Piper is much bigger, of course. But Bona Law is a much more pleasant place to work. And it has a better name. So, you might ask whether I have any observations about a year of blogging? Or whether I have learned anything during this time? As a Minnesotan might say, you betcha. I like blogging. I’ve always enjoyed writing, as you can probably tell from my publications. But what is great about having your own blog is that you can write about whatever you’d like. I can say what I want when I want. I can write long articles or short articles. It is entirely up to me, not some list of editorial standards. My preferred writing style is not formal (or stuffy, as I like to describe formal writing). Luckily, the editorial board at The Antitrust Attorney Blog doesn’t care. One other observation is that I have written less for other publications. That wasn’t purposeful, but when I get an idea, I typically write it here rather than for someone else. I will probably continue to write law-review type articles for other publications, but most of my shorter stuff will end up here. We filed an amicus curiae brief with the U.S. Supreme Court on behalf of We All Help Patients, Inc. in North Carolina State Board of Dental Examiners v. FTC, a federal antitrust case challenging anticompetitive conduct by professional-licensing boards. Let us tell you a little bit about this interesting case. 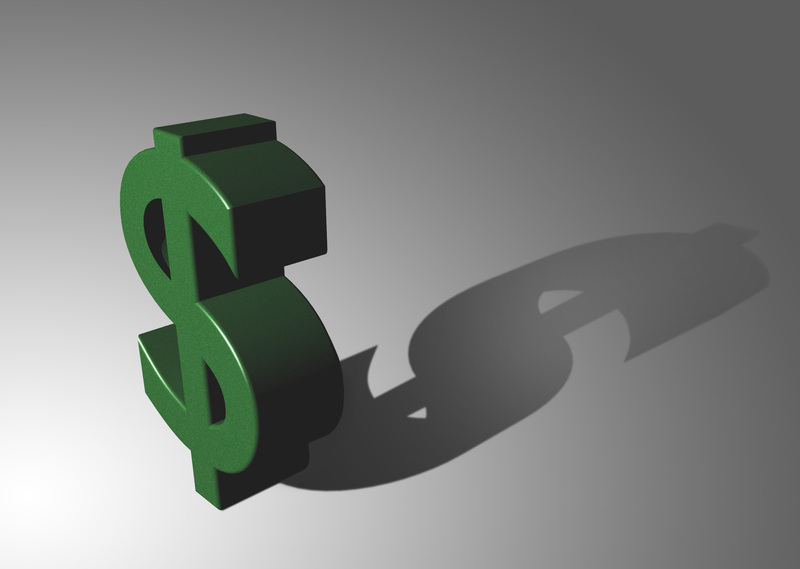 The North Carolina Board of Dental Examiners is composed of six licensed dentists, one licensed dental hygienist, and one “public member.” Dentists make a lot of money by offering teeth-whitening services. So when non-dentists started providing teeth-whitening services at a far lower cost, dentists started complaining to the Board about the lower-priced competitors. Naturally, a Board made up of self-interested private parties had an incentive to do something about it. They began sending cease-and-desist letters to non-dentist teeth whiteners and even went so far as to ask shopping malls to not lease kiosks to teeth whiteners. It wasn’t clear, of course, that North Carolina law limited teeth-whitening services to dentists. The Board’s actions were, in fact, a conspiracy to restrain trade. The members were competitors that acted in agreement to exclude other competitors. The conspiracy question was not at issue with the US Supreme Court. The Federal Trade Commission, which has long advocated for “free and unfettered competition as the rule of trade” to protect consumers and economic liberty, issued an administrative complaint against the State Board and ultimately held that the Board engaged in anticompetitive conduct and the state-action immunity doctrine did not apply. The case made its way up through the Fourth Circuit—which agreed with the FTC—and finally to the U.S. Supreme Court. Most of The Antitrust Attorney Blog entries focus on antitrust and competition law, which I suppose isn’t a surprise. But that hides the fact that I am a business litigator as well. While many of my matters relate to antitrust, some of them don’t. So I thought this award would present a good opportunity for me to remind you that although I really enjoy antitrust, I can also help you with straight-up business disputes. This includes everything from basic breaches of contract to complex global disputes spanning several jurisdictions. It also includes, of course, appellate attorney work, which I write about from time-to-time. In fact, my antitrust background gives me a leg-up in business and corporate litigation because I have spent years studying markets: I understand how companies compete in a market, which helps me to quickly grasp how an industry or company functions. This experience improves my ability to incorporate business considerations into my descriptions of various options for the client throughout the litigation process. Many lawyers look at litigation as a game, to win at all costs, instead of understanding that litigation is just one of several tools to use—offensively or defensively—to develop a competitor’s position in the marketplace. It is important at every decision point to recognize that—unlike the litigator that probably works with a bunch of other competitive litigators that stress winning above all else—the client cares about the result relative to the cost. Indeed, having my own business has further focused my sensitivity to the client’s perspective. I think I understand the client’s need to find someone that (1) they trust; (2) will pursue their goals, with the overall context of the business in mind; (3) will do great work. That may sound like the typical gobbledygook from a lawyer, but I think most businesses that have had to hire litigators will tell you that those three points are everything. I started Bona Law PC in March 2014 and it is now August. Time flies. So far so good. I’ve been quite busy and I love the work. Even though people told me that I couldn’t do antitrust outside of a big firm, I have done a lot of antitrust. In fact, we are filing an Amicus Brief to the US Supreme Court this week in an antitrust case. We are proud to announce that we filed an amicus curiae brief with the Minnesota Supreme Court on behalf of the Minnesota Vacation Rental Association last week in Dean et al. v. City of Winona, a case concerning municipal power and the right to rent out one’s residential property. Four property owners represented by the Institute for Justice Minnesota Chapter challenged a City of Winona, Minnesota ordinance that caps the number of rental licenses per residential block to thirty percent (“the thirty-percent rule”). In other words, if you live in one of Winona’s low-density residential districts, your right to rent your home is subject to your neighbors’ exercise of theirs. The City of Winona, Minnesota was unhappy with parking, density, and aesthetic issues in the residential areas near the Winona State University campus. Rather than enforce existing laws against problem residents (students), the City of Winona decided to expropriate its residents’ property rights by restricting the number of homes that could be rented out to 30% of the houses on a given block. Thus, if six houses comprise your block, owners of only two houses on the block could obtain a license to rent to tenants. Four homeowners challenged the thirty-percent rule after facing ruinous financial consequences as a result of the rule. One homeowner, who was deployed to Iraq, almost lost his home because the city wouldn’t let him rent it, thus depriving him of rental income to cover the mortgage payment. Another couple bought a home in Winona for their daughter to live in while she was in college and as an investment that would provide rental income. After their daughter left, the home sat empty on the market because they couldn’t rent it and interested buyers backed out when told of the rental restriction. How Much Does it Cost to Litigate an Antitrust Case? If you ask this question to an antitrust lawyer, you will receive some form of “it depends” in response. That’s true. It does depend. And you will inevitably follow up with, “What does it depend upon?” Let’s see if we can begin to answer that question. What we are discussing here is not a class-action antitrust lawsuit, but an antitrust claim by one business or individual against another. Class-action antitrust cases usually incorporate some contingency-fee approach and are lawyer-centered rather than client-centered cases. That is, the plaintiff law firms act as “private-attorney generals” to enforce the antitrust laws through the class-action vehicle. Those cases are very different than the typical case brought by a company against its competitor, supplier, or customer. You can read our article on defending against class certification in antitrust cases here. Antitrust cases are expensive. Usually. But if managed effectively, they don’t need to cost nearly as much as they did when big law firms held a virtually monopoly on the cases by convincing clients that only they had the requisite resources to file such a massive claim. With the combination of technological advancements and third-party providers, I believe that, in many instances, hiring a big law firm to run your antitrust case is a costly mistake. We’ll get into that more below. I am not going to get into actual numbers here because fees and other costs vary and will change over time. But if you are considering antitrust litigation, studying the components of an antitrust lawsuit will help you (1) understand what you are paying for and (2) figure out how to reduce your costs. Below are the primary-cost drivers of an antitrust case. Of course, every case is different and a lot can come up in litigation that is unexpected and unusual. That keeps it interesting, but also increases cost variances. The list below doesn’t hit everything, but I hope it helps you. 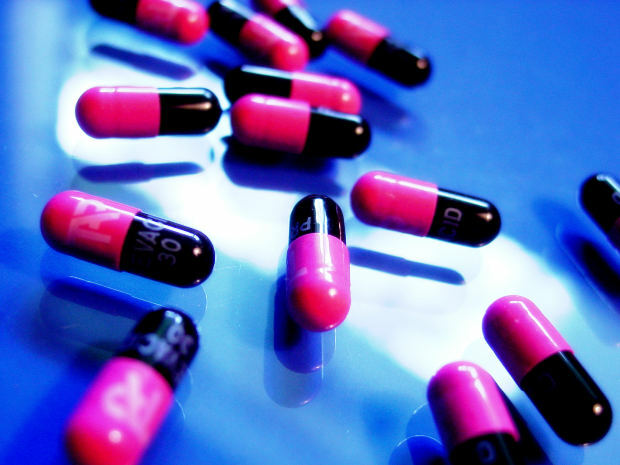 I recently reported on my client’s antitrust case against the Virginia Board of Medicine. I also mentioned that I argued at the motion-to-dismiss hearing on March 28. I am excited to announce that we received the Court’s decision today rejecting the Board’s Motion to Dismiss. If you are interested in the case, you can download the complaint and motion to dismiss documents below. Last week was a big antitrust week for the new law firm of Bona Law PC. First, it was the ABA Antitrust Spring Meeting, where antitrust lawyers from all over the world descend upon Washington, DC to obsess over antitrust and competition for several days. Second, I was writing an antitrust brief in a significant antitrust case. Finally, I argued at a motion-to-dismiss hearing in the case Dr. Yvoune Kara Petrie, DC v. Virginia Board of Medicine, et al. I represent Yvoune Petrie, a doctor of chiropractic, in an antitrust lawsuit (Sherman Act, Section 1) against the Virginia Board of Medicine and several of its board members. Update: We survived the motion to dismiss. With my client’s permission, I thought I’d tell you a little more about it. As you might recall, I have experience and expertise in antitrust lawsuits against state and local entities, and believe that some of the most pernicious harm to competition comes from government conduct. You may have heard that last week I left DLA Piper to start my own law firm. I am humbled and appreciative of all the support that I have received from many of you. Thank you. As an antitrust attorney, I analyze markets every day. Even when I’m not working, I do it. I can’t help myself. When I go to the grocery store and stare at a shelf of products, my three-and-a-half-year-old son—who is my grocery-shopping buddy—might think I am carefully determining the best product to buy. (Well, he actually is probably wondering when we are going to come across more food items with cartoons on them). Instead, I find myself looking at the difference in prices and the placement of companies’ products on the shelf, and thinking about, for example, whether loyalty discounts or category management played a role. The same compulsion to analyze markets is now occurring in my own market—the market for legal services—now that I am participating in it as an owner rather than an employee. Thus, I thought it would be fun to periodically blog about my experiences moving from biglaw to my own law firm. I am excited to announce that after a dozen years of big-law practice, I am leaving DLA Piper to start my own law firm—Bona Law PC. I believe that through Bona Law I can offer clients the legal services of the best law firms, but in a much more efficient way. I am headquartered in the San Diego, California area, but expect to continue to practice nationally. My family, friends, and former co-workers have commented lately that I seem very happy—maybe even giddy. It is true. I am as enthusiastic about the practice of law—and life—as I have ever been. I have a wonderful supportive family and am about to embark on a journey that marries my entrepreneurial spirit with a profession that I love. I feel like I am living the dream. After years of analyzing other markets for antitrust matters, I finally sat down and analyzed my own. My conclusion is the legal market has structurally changed such that the largest law firms are concentrating more and more on their biggest clients and developing such diseconomies of scale that they are no longer competitive for most businesses. Unless a company can provide these law firms with a minimum volume of work, the firms are unlikely to offer a competitive price for their services. First, matters with less volume could create conflict issues, which are a significant and costly issue for large law firms. Without sufficient volume, it just isn’t worth it for firms to discount their already high prices. Second, large law firms have huge fixed overhead—leases, management, marketing departments, etc. Moreover, many (probably most) of them have excess capacity, which means that they are paying a lot of attorneys that aren’t billing as many hours as the firm would like. So volume is a big deal.